Five Things to Become a Better Flanker. Cassie, the infamous damage champion, able to seemingly delete her targets within a blink of an eye. 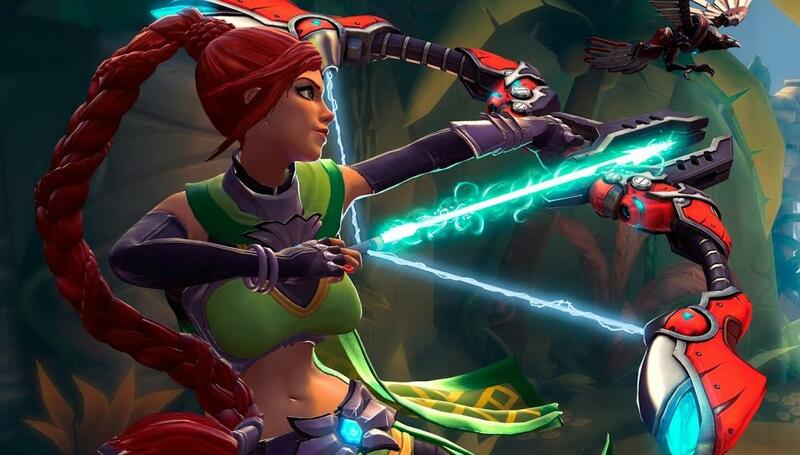 Cassie is a damage champion, she has a slightly below average healthpool of 2300, armed with a crossbow. All shots fired are projectiles, meaning it takes time to travel in the air. 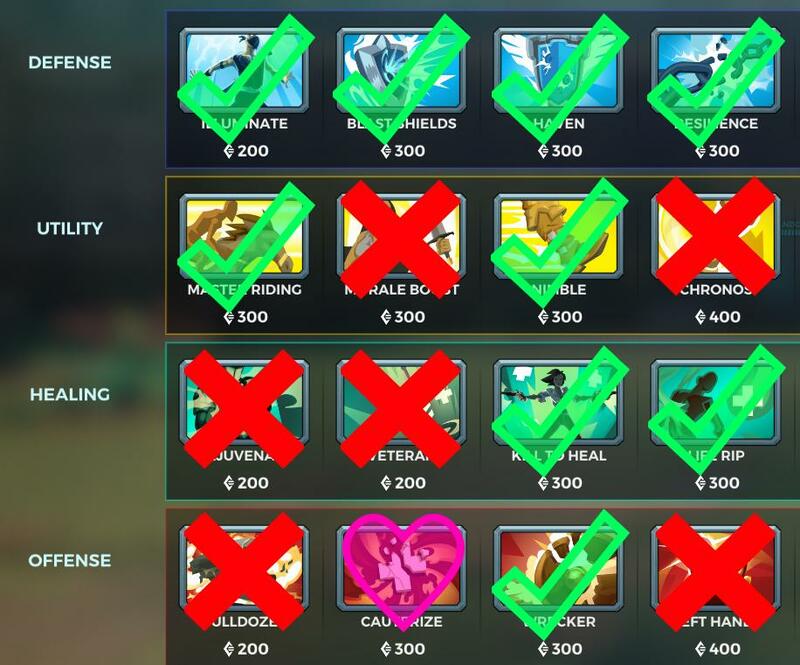 Compared to, for example Drogoz, Cassie’s shots will travel much faster, but it’s something to keep in mind and can take some getting used to. An important thing to note is unlike other projectiles such as Maeve’s knifes, there is no falling curve. In addition, there is no damage falloff, meaning Cassie will do just as much damage from halfway across the map as in someones face. Your crossbow shoots an arrow that deals 680 damage, with a 0.75 second firing speed. Everytime you land a shot, you gain 4.2% ultimate charge and with a fast projectile speed, this is an easy shot. Disengage shoots an arrow that deals 200 damage and knocks your opponent backwards (800 Knockback Impulse). Disengage grants 1.3% ultimate charge on hit. Blast Shot shoots an arrow that explodes on impact dealing a 450 damage AOE attack and does reduced damage to those nearby. This results in gaining 3% ultimate charge on hit and anywhere from 0.5% to 2% for anyone else hit. Rolls 50 units in the direction of movement. You can still be hit while rolling. Exaction allows you to deal 30% bonus damage for your next shot after using Dodge Roll. This used to be the primary cassie talent that everyone used but has since fallen astray. This is a great talent for Cassies who favour mobility and close ranged combat, a good pick when going up against a multitude of flanks, or on small maps. Just Breathe takes no damage falloff one step further. All Crossbow Shots deal upto 30% increased damage once they’ve traveled 70 feet. 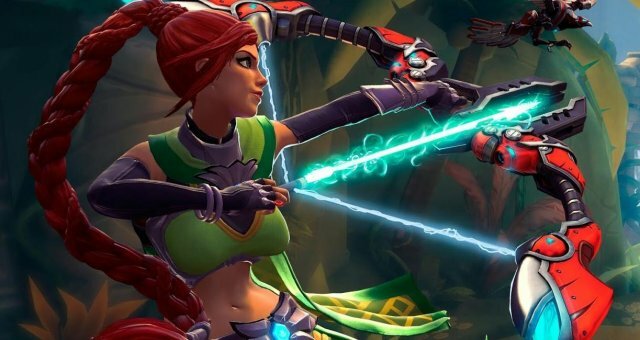 This allows cassie to play further back and is an excellent counter to an opposing Kinessa or Strix. This is a good pick on maps with long tunnels like Stone Keep, Timber Mill, Splitstone Quarry. For many the current Meta loadout, Impulse adds buffs to your Blast Shot. Increases the damage of Blast Shot from 450 to 700, as well as reducing the cooldown by 2 seconds. Paired with a loadout, this Talent allows a Cassie to melt through lower health champions, as well as output high damage onto clumped up enemies on point. After hitting an enemy with disengage, subsequent shots will deal an additional 10% of their maximum health in damage for 6 seconds, affecting your main attack. Big Game can be a great pick when going up against teams with bulky double frontlines (Eg. 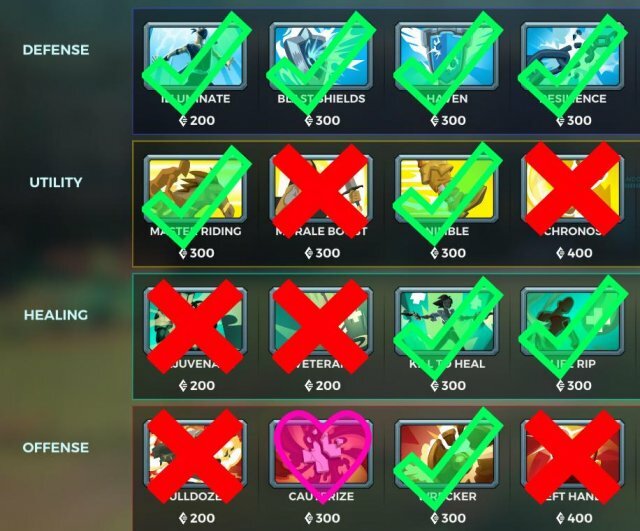 Inara and Makoa), and can dish out insane damage. It should be noted that without loadout modification, the cooldown for Disengage can be long (12 seconds). This talent can also be paired with a max KB loadout on maps with Environmental Hazards, such as Fish Market. Crosses - Represent Items I would not recommend buying under any circumstances. Hearts - Items that you can safely buy in most situations. Ticks - Items that are decent or conditional and depend on what the enemy team is running. An explanation of when to use the ticked items will be included in our planned item purchasing guide. Kinetics and Blast Shower are essential; however the other three cards and their levels are of course up to you. Drain Life can be effective, however Cauterize diminishes its bonuses. Somersault is an extremely effective escape mechanism. Quiver is somewhat a bad habit for me, I can’t really play without the added ammo, however if you can avoid this, it might be an idea to swap it for something more useful. Although I don’t frequent Dodge Roll Cassie, and it has been nerfed massively, I would recommend using this loadout on close quarter maps, such as Brightmarsh (mostly). This loadout isn’t entirely serious, it’s a lot of fun to use. I wouldn’t recommend it in Ranked, however in Casual on maps such as Fish Market or any others with a multitude of environmental hazards, it can work. Again, you can exchange cards such as Blast Shower for Megaton (Increases Blast Shot KB), however this can be inconvenient. Removing Raze can make this an effective loadout paired with the Big Game talent for any map. Remember, when using a Blast Shot loadout to maximise the amount of people you hit at once; this will mean your cooldown is reduced, as well as giving you a burst of healing. You can fire a blast shot almost simultaneously with a normal shot to deal 1350 damage within milliseconds. As of OB69, Cassie is regularly banned and considered a High Tier Damage Champion. If you can pick her up, it is highly recommended, just remember to keep the map in mind and what your opponents have drafted so far.